ZPower Silver-Zinc Rechargeable Batteries are the only rechargeable hearing aid batteries that provide all-day power and the flexibility to interchange with disposables. Plus, they are safe, 100% recyclable and small enough to be used with today’s most popular hearing aids. ZPower, with headquarters and a manufacturing facility in Camarillo, California, is a leader in the development of rechargeable silver-zinc batteries for microbattery applications. ZPower batteries deliver unmatched performance, improve user experience and are better for the environment. ZPower is ISO13485:2016 and ISO 9001:2008 certified, and its facility and devices are registered with the FDA. Watch this video to learn some helpful tips to ensure proper usage of ZPower silver-zinc rechargeable batteries. 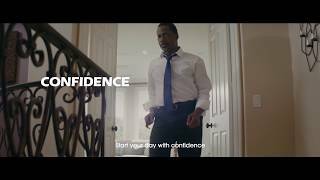 With the ZPower Rechargeable System for Hearing Aids, offer your patients the confidence that their hearing aid batteries will last all day and freedom from the hassle of fumbling with tiny batteries. 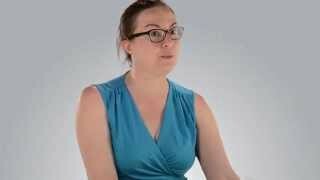 ZPower users share what life was like prior to and after ZPower. 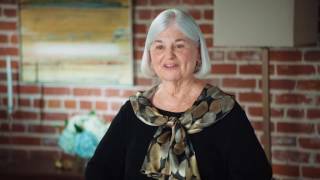 Hear Barbara’s previous experience with early rechargeable batteries in comparison to her life after ZPower. Your Patients Can Say Goodbye to Changing Batteries Forever. The ZPower Rechargeable System for Hearing Aids. 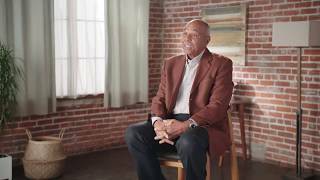 Real ZPower Rechargeable System users share their experiences of life before and after ZPower. 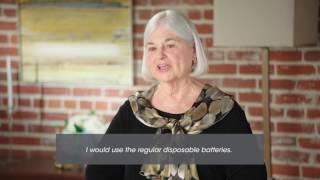 Real hearing aid wearers share their experience with disposable batteries and their first impression of the ZPower Rechargeable System. Visit ZPowerbattery.com for more information. March 11, 2019 Widex today announced the second generation ZPower Rechargeable System – an upgrade that has taken every element of how the battery system works into account, from the charger station software to the battery door. March 5, 2019 Widex introduces the Second Generation ZPower Rechargeable System, giving Widex rechargeable hearing aid users more flexibility and performance than ever before. June 30, 2017 Oticon now offers a rechargeable hearing aid with ZPower silver-zinc battery technology.Camarillo, Calif. - June 26, 2017 — ZPower, the world’s only developer of rechargeable, silver-zinc microbatteries, announces its collaboration with the hearing aid manufacturer Oticon to make the award-winning Internet-connected Oticon Opn™ hearing aid rechargeable. March 29, 2017 ZPower has collaborated with multiple hearing aid manufacturers to bring more rechargeable hearing aids to market in 2017.Camarillo, Calif. – March 29, 2017 – ZPower, the world’s only developer of rechargeable, silver-zinc microbatteries, will feature its built-in rechargeable battery technology at AudiologyNOW! 2017, April 5–7 in Indianapolis, Ind. January 26, 2017 Starkey to offer rechargeable Muse hearing aid with ZPower battery technology.Camarillo, CA (PRWEB) January 24, 2017 - ZPower, the world’s only developer of rechargeable, silver-zinc microbatteries, announces their collaboration with Starkey Hearing Technologies to bring a new rechargeable hearing aid to market. In February, Starkey will launch the popular Muse micro RIC 312t in a ZPower rechargeable option. April 8, 2016 Camarillo, Calif. (April 6, 2016) – ZPower, the world’s only developer of rechargeable, silver-zinc miniature batteries, will feature its Rechargeable System for Hearing Aids at AudiologyNOW! 2016, which takes place April 13th – 15th in Phoenix, AZ. February 25, 2016 Camarillo, Calif. – February 23, 2016 - ZPower, the world’s only developer of rechargeable, silver-zinc miniature batteries, will feature its Rechargeable System for Hearing Aids at the 2016 Joint Defense Veterans Audiology Conference. February 19, 2016 ZPower to be recognized at Edison Awards Gala on April 21 in New York.Camarillo, Calif. (February 18, 2016) – The ZPower Rechargeable System for Hearing Aids has been named a 2016 Award Finalist by the internationally renowned Edison Awards&tra. February 11, 2016 Camarillo, Calif. (February 10, 2016) – ZPower is thrilled to announce a new partnership with AuDNet, Inc., a group purchasing organization whose mission is to support and sustain the practice of audiology in all its forms through collective buying power. May 30, 2017 Barry A. Freeman, PhD ZPower started in the 1990s as a spinoff of NASA. NASA was using particular battery chemistries in their space shuttles and in satellites, and then the military adopted them. ZPower wanted to devise a way to miniaturize this battery chhemistry, which is silver-zinc, and make it rechargeable. In 2008, they decided to explore applications for the hearing industry.The data that I'm presenting today was primarily collected in the ZPower electronics laboratories, and also in clinical field trials with thousands of patients who have been wearing the ZPower rechargeable battery systthem with their silver-zinc rechargeable battery. 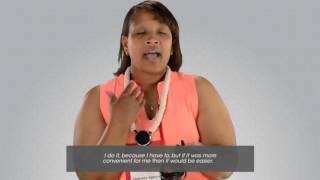 September 6, 2016 Sara Sable-Antry Introduction and Overview I'm excited to talk to you today about ZPower’s complete system. It consists of silver zinc batteries, multiple battery doors to make many of today's most popular hearing aids rechargeable, and a sleek and compact charger. We've known about the potential for silver zinc battery technology for decades. August 31, 2015 Barry A. Freeman, PhD How can rechargeable hearing aid solutions help audiologists respond to disruptive market forces like PSAPs, as well as increased competition? Will I Lose Revenue on Battery Sales if I Move to Rechargeable Solutions? June 15, 2015 Barry A. Freeman, PhD My patients are asking for rechargeable technology in their hearing aids, but won’t I lose revenue on battery sales if I move to rechargeable solutions? 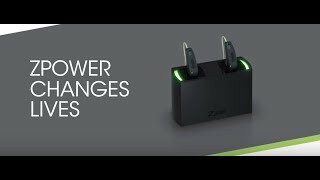 What is Unique About the ZPower Rechargeable Solution for Hearing Aids? May 11, 2015 Barry A. Freeman, PhD What does ZPower offer in terms of rechargeable solutions for hearing aids, and how is it the same or different as what is currently on the market? How Long Will Silver Zinc Rechargeable Batteries Last, and How Are they Charged? April 6, 2015 Barry A. Freeman, PhD I'm interested in the new ZPower rechargeable solution for hearing aids. How long will the silver zinc rechargeable batteries last, and will the patient need to remove the batteries from their hearing aids to recharge them? Can Professionals Have an Impact on the Availability of New Rechargeable Hearing Aid Solutions? November 17, 2014 Ross Dueber, PhD Can professionals have an impact on the availability of new rechargeable hearing aid solutions, or do we just sit back and wait? What are the Benefits of Rechargeable Batteries for Rechargeable Hearing Aid Solutions? October 6, 2014 Ross Dueber, PhD What are the benefits of rechargeable batteries for rechargeable hearing aid solutions? March 19, 2018 Sara Sable-Antry Interview with Sara Sable-Antry, Vice President of Product Management and Customer Care regarding ZPower growth and future plans. September 17, 2014 Troy Renken, VP at ZPower, will discuss the barriers and enablers of wireless technology adoption in Audiology. New resource gives developers the tools needed to evaluate ZPower rechargeable batteries for future product designs. August 6, 2014 New resource gives developers the tools needed to evaluate ZPower rechargeable batteries for future product designs. Advanced battery manufacturer is changing the audiology market’s paradigm from disposable to rechargeable batteries. Read more! May 28, 2014 Advanced battery manufacturer is changing the audiology market’s paradigm from disposable to rechargeable batteries. Read more! 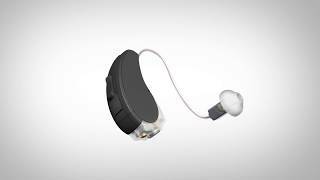 VFusion Rechargeable System brings all-day rechargeable power to hearing aids. 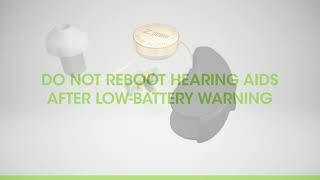 February 13, 2014 VFusion Rechargeable System brings all-day rechargeable power to hearing aids.